Thank you to the students that shared their stories & illustrations with WSKG this year. Our judging committee reviewed the entries and have selected the following winning stories. 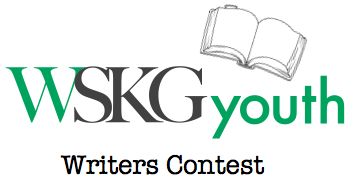 All children who entered the contests will receive their original story back through the mail. 2nd Place | Asiya Patel | Who’s Done it This Time? Special thanks to the Four County Library System, George F. Johnson Public Library, MaryAnn Karre, Lonna Pierce, Sarah Reid, Sara-Jo Sites, Sandy Stiles.